A pair of fully restored original theater seats from the Colonial Theater in Phonexville, PA. 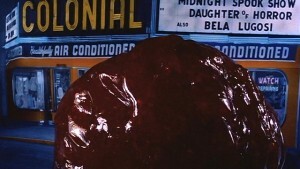 This is the town and theater where the Sci-Fi Classic “The Blob” starring Steve McQueen was filmed. 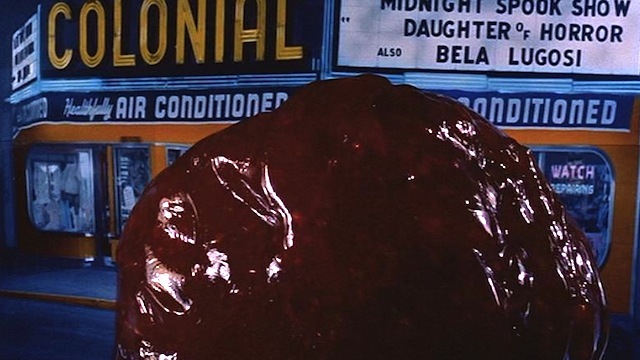 Several of the movie scenes were filmed inside the Colonial including the famous “running out” scene where the Blob attacks the projectionist and then the theater patrons. 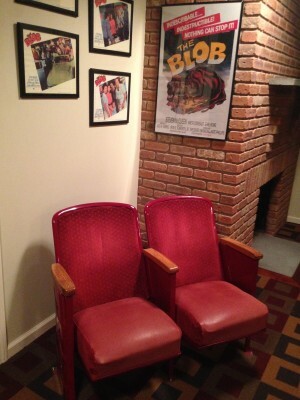 These were two of the original seats removed from the theater when it was renovated. 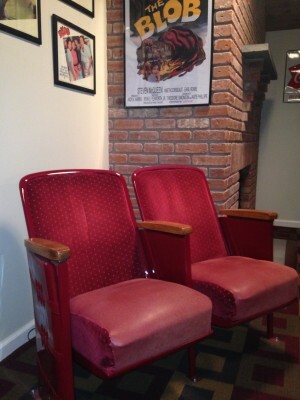 The left seat is the aisle seat so it features ornate embossed metalwork on the side panel. 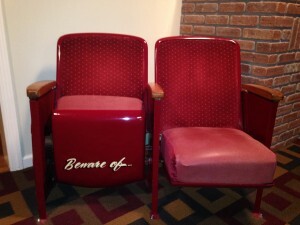 The two seats link together to form a pair. Documented history, these seats were purchased directly from historian Vincent Martino Jr. author of the book Phonenixville – Then & Now . The seats were professionally restored with meticulous attention to detail . 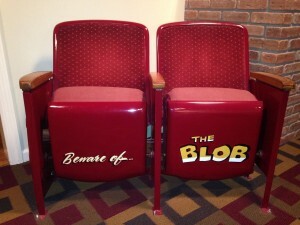 Artist Dennis Smith hand painted the “Blob” graphics on them which are revealed when the seats are in the flipped up position. A beautiful addition to any home theater or Sci-Fi collection. A one of a kind, must have collectible…………..